Along with enhancements for Pirates of the Caribbean and Space Mountain, the Mad Tea Party received some new effects for the 2018 Mickey’s Not-So-Scary Halloween Party. 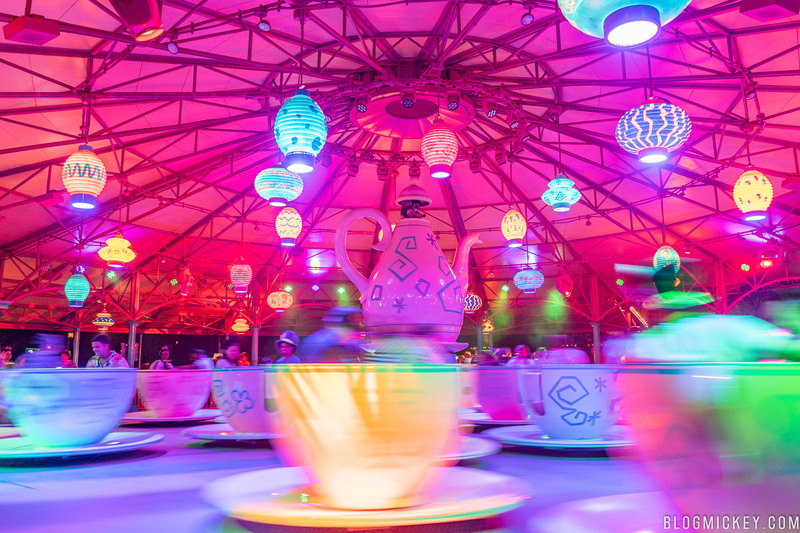 Lots of new lights, speakers, and fog effects were added to put the “party” in Mad Tea Party. The only thing that remains the same from daily operation is the safety spiel. Other than that, all-new music for the attraction is played during Mickey’s Not-So-Scary Halloween Party. There are 4 songs in total for guests to enjoy!